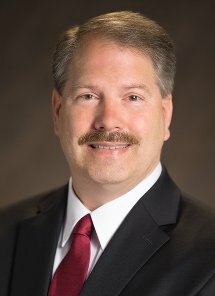 TRAVERSE CITY — NMC's Board of Trustees unanimously appointed Chris M. Bott, a 1983 alumnus and practicing CPA, to fill a vacant trustee slot on Monday. He will serve through Dec. 31, 2016. "I want to give back to what I consider a hidden gem in this community, and one that my nieces, nephews and grandchildren should consider as their first step in their college education," Bott said in his application materials, noting that six of his siblings and his own three children also attended NMC. He said this personal experience with NMC, over two generations, set him apart from other candidates. Bott, who has owned an private accountancy practice since 1998, has also served on NMC's Business Administration/Accountancy advisory committee since 2004. "This has been an informative experience for me, and refreshing to know that the college wants input from area employers as to the needs of said employers and then acts to implement some of the suggestions," he said in his application. Trustees thanked all the applicants and noted the high caliber of the applicant pool. Ten individuals applied to fill the vacancy created by Cheryl Gore Follette's resignation on March 23. Per Michigan law, Bott will serve the remainder of Follette's original term, through December 31, 2016. He will be eligible to run for election for a full, six-year trustee term in November 2016.